Wow! My eyeglass session with Annette completely exceeded my expectations. When I arrived at the specialty store, she had already collaborated with the expert there. Annette had already picked several glasses to try. I arrived with a warm, genuinely excited welcome from both of them. They already had the glasses sitting out, ready to try on. Perhaps this is what royalty feels like? I always appreciate that Annette educates me along the way as to what works and doesn't work, and why. It's so empowering. She always leaves me craving more since I am learning so much and immediately able to apply it. I can't wait until the next session! TIP! Hannah also chose a burgundy red frame, remember RED is one of her favorite colors. In addition to a gray/slate rectangle shape for her get down to business look. TIP! You can choose a very neutral frame to wear with all your outfits or use your glasses as an accessory. You may be wondering, what does an online course look like? I will be giving you a glimpse inside the course over the next few weeks and what you will experience in the Reveal Your Radiance…30 Days to Dressing for Success. But first we’re going to talk about WHY you would want to take the course. I will be sharing how I work with clients and you can decide if this is a good fit for you. I mentioned last week that I would be sharing a "case study" on a new client that I am working with. I am thrilled to share this process and more excited that Hannah has agreed to take this journey with me and share her story with you. Meet Hannah P., the owner of Solutions for Impact, LLC. Hannah has worked in corporate America for the past 18 years and most recently Microsoft. Employees at Microsoft may dress as casually as they like, so needless to say she got into a habit of wearing easy, comfortable clothing without needing to worry or think about a traditional professional image. Fast forward to the present where she is a business owner working with clients and other businesses, and therefore needs to completely overhaul how she dresses to portray the right professional image. For context, here is a little about Hannah’s business. Solutions for Impact is passionate about empowering business professionals at all levels and owners to grow their businesses and improve performance through consulting, coaching, and training. Solutions for Impact differentiates itself by providing solutions that are realistic, actionable, easy to manage, sustainable and impact the bottom line. They also educate clients throughout the engagement, empowering them to build and execute their own solutions in the future. Their solutions enable business professionals and organizations locally and globally to increase revenue (secure more clients, increase loyalty, expand markets and innovate), decrease costs (improve productivity and effectiveness, get results faster and do more with less), improve brand image and gain a competitive advantage. 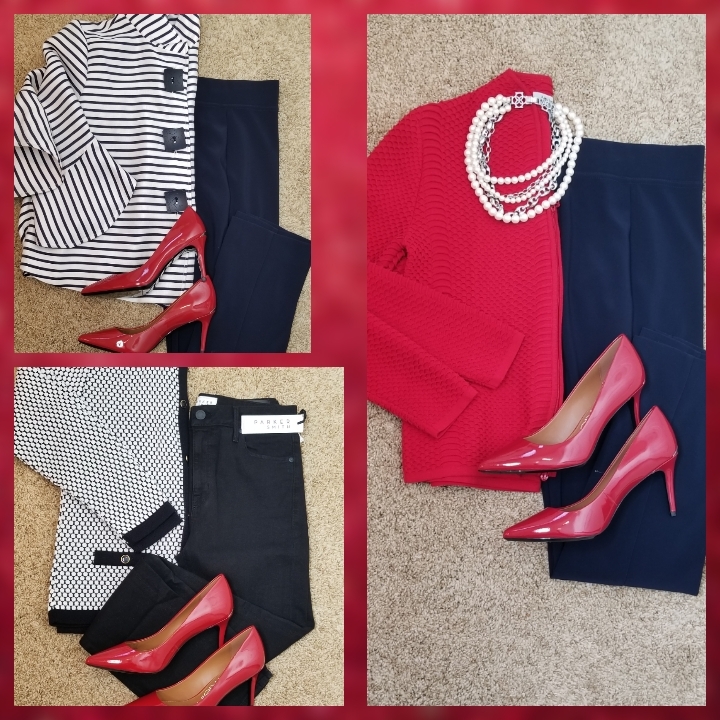 · Finding comfortable professional attire is must! · I don’t want to be distracted or fussing with my clothing or accessories. · How do I mix and match correctly? · How do I know if it actually goes together? · Help me to understand how to dress at the right level without feeling like I have to be overly conservative. · I want simple, yet stylish pieces that reflect who I am. · I know the value I offer intellectually and also want to feel like my clothes represent me. · How do I align my image with my “brand”? · I want to “show up” as the best version of myself in every way. · I want a makeup routine that isn’t a complicated or time-consuming process but looks professional. 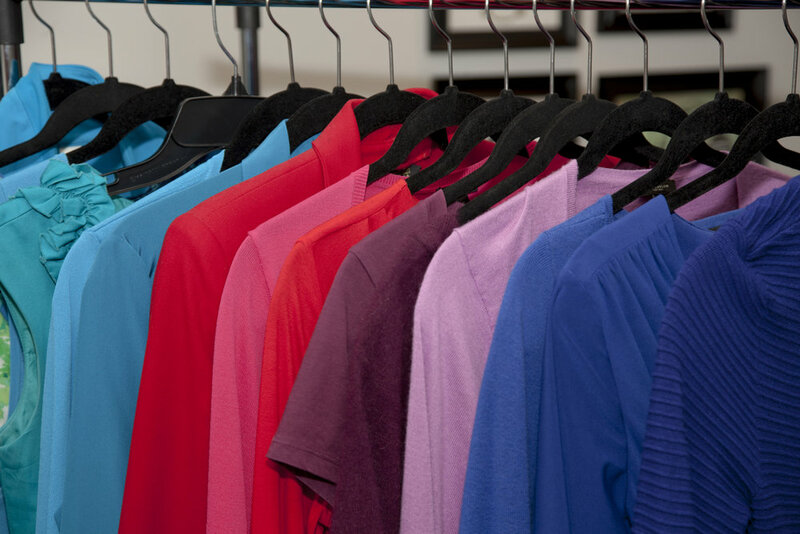 Many people ask me, "What does an image consultant do?" Are you going to come in my closet and throw everything out? Are you like the… fashion police? Let’s take a peek into Hannah’s journey where you will learn more about how I coach and teach my clients to be the BEST version of themselves. Hannah: Before our first session, I had a phone meeting with Annette so she could understand more about who I am, including specific words that describe me at the core. Using this information and her expertise, Annette guided me in finding the color palette and key signature colors that compliment my eyes, hair and skin, as well as match the person I am at the core. I assumed my color consult would be as simple as picking a few colors I love and that are flattering with my skin. Very quickly, I realized that what Annette offers is really an art that goes in far more depth than I would have imagined. Annette educated me along the way and showed me the true power of color. I now see it through an entirely new lens. In just one session, I have a very different understanding of “style.” Annette customizes every aspect for each individual person so they feel the most true to themselves and that they have brought out their best aspects (internally and externally). I truly believe that Annette already “gets” me and am really looking forward to our next sessions together. Annette had me bring my existing makeup to the session. I really appreciate this approach since we weren’t starting from scratch requiring an entire new makeup collection. She showed me how to apply it to be the most flattering for my features. Hannah loves RED – that tells me a lot about someone. Hannah is draped with the Earth Red swatch. We tempered the redness in her skin and warmed it up with her new color palette – Sunset. We also added a new lipstick color that went beautifully with her color palette and skin tone. · Have our closet visit – where we will talk more about color combinations, create outfits that are in harmony with her body type and coloring, find her missing gaps that are hindering her from optimizing her wardrobe and document the “go to outfits” for specific business interactions.